A new, extended stage pleated polyester filter insert for the MV Multi-Trap® vacuum pump inlet trap used in heavy contaminant process applications is being introduced by MV Products of North Billerica, Massachusetts. The MV Multi-Trap® 16” Stacked High-Capacity Vacuum Inlet Trap features one large pleated polyester filter element that provides 80 sq. ft. of coverage to capture and retain 60 grams/sq. ft. of particulates. 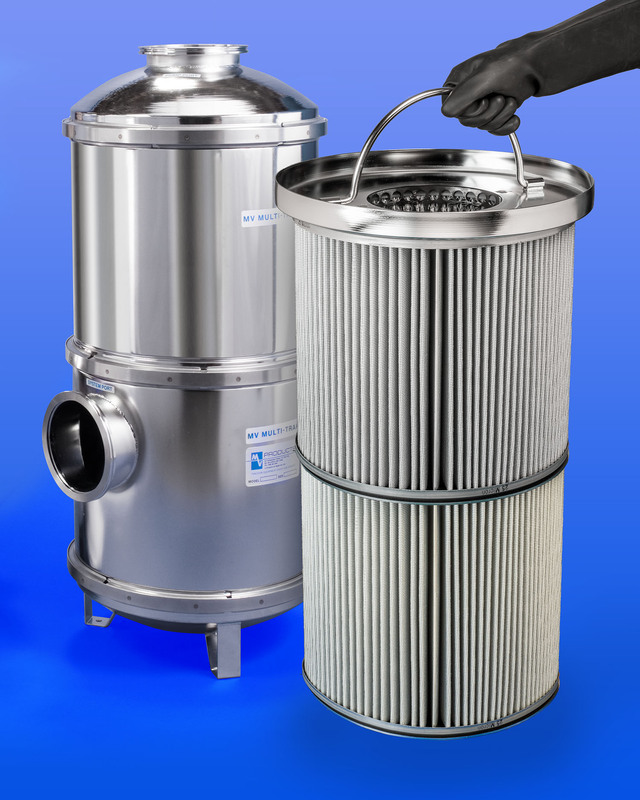 Developed for vacuum processes that generate large amounts of contaminants, the filter can be supplied with 25- and 100-micron ratings and the stainless steel housing is offered in straight-through and right angle configurations. Available with NW-40 to ISO-160 ports, the MV Multi-Trap® 16” Stacked High-Capacity Vacuum Inlet Trap provides conductance > 2000 CFM @ 1 TORR. For condensable materials, a cooling option is offered. Applications include protecting vacuum pumps in LPCVD, PECVD, MOCVD, HVPE, and ALD processes. A variety of Multi-Trap® configurations and filtration media options for removing residual solvent vapor acids and other particulates are offered. The MV Multi-Trap® 16” Stacked High-Capacity Vacuum Inlet Trap is priced from $4,795.00 (list) complete. Quotations are provided upon request.